APKF is Adobe product key finder for MAC software for recovering product key ( CD key, serial number ) for Adobe Creative Suite Adobe CS6, Adobe CS5 , Adobe CS4, Adobe CS3, Adobe Acrobat, Adobe Dreamweaver, Adobe InDesign, Adobe Illustrator, Adobe Photoshop, Adobe Flash, Adobe Fireworks and more. How Do I Find My Adobe CS6, CS5, CS4, CS3 Serial Numbers From MAC OSX? 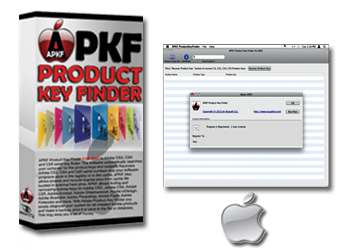 APKF for MAC automatically searches your computer for the Adobe CS6, CS5, CS4, CS3 product keys and serial numbers.